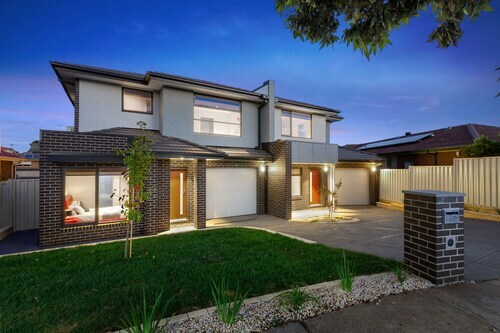 Situated in Tullamarine, this vacation home is within 9 mi (15 km) of Moonee Valley Racecourse, Flemington Racecourse, and Highpoint Shopping Centre. Royal Children's Hospital and Melbourne Zoo are also within 9 mi (15 km). Tullamarine is a suburb of Melbourne renowned for its role as the home of Melbourne Airport, otherwise known as Tullamarine Airport. This is the perfect place to be if you’re looking for an overnight refresher between flights. 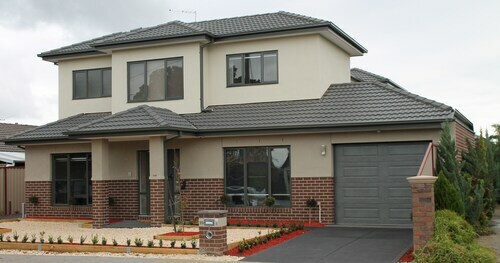 Check out our range of convenient Tullamarine accommodation now! Although Tullamarine Airport is the main drawcard for tourists and Melbourne locals alike, the area has a history that began long before the first tarmac was laid. The Warrundjeri people were the traditional owners of the area. According to historic writings by an advisor to Robert Hoddle, the early government surveyor in the area, the name ‘Tullamarine’ was inspired by a young boy from the clan called Tullamareena. The area drew its first residents in the early 1850s, who farmed the lands. By 1865, Tullamarine had a population of about 200 people, along with a post office and a hotel. While the area slowly grew, it wasn’t until the Federal Government developed the new Melbourne Airport to replace nearby Essendon Airport that Tullamarine came into its own. Opened in 1970, the airport today boasts record numbers. It is currently the second-largest airport in Australia, serving around 20 million passengers every year. Located just 25 minutes from the Melbourne CBD, Tullamarine is connected to the city’s suburbs and major transport hubs via rail and bus. Taxis are easy to get to and from the airport, as well as within the suburb itself, and the SkyBus offers express services between the airport and the city every 10 minutes. Hire cars are also available throughout Tullamarine. For those looking to get out of the airport, but stay close by, there are a few shopping centres nearby to seek respite in. The Westfield shopping centre in Airport West is a 10 to 15 minutes’ drive or taxi ride away, where there’s a Village Cinema, lots of shopping and of course, a food court. The Watergardens Shopping Centre is 20 minutes away, where you’ll find a Hoyts Cinema and various retail outlets. If it’s bargains you’re chasing, then the Essendon DFO Outlet is the place to go, just 10 minutes away. Still thinking about killing your stopover time at the airport? Don’t be silly! 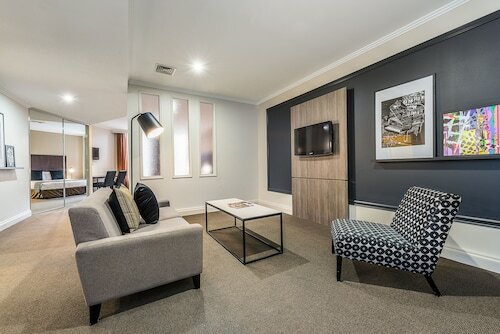 Book one of our Tullamarine hotels today and make your holiday as relaxing as they look on TV! How Much is a Hotel Room in Tullamarine? 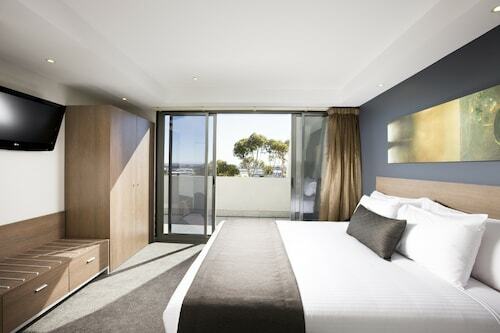 Hotels in Tullamarine start at AU$89 per night. Prices and availability subject to change. Additional terms may apply.